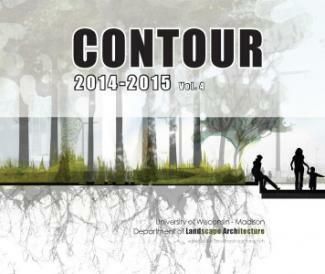 Contour is a catalog of our graduating senior capstone projects. Each year our students’ capstones span a diverse set of projects. Students take the Wisconsin Idea to all regions of the state by interacting with state residents and gaining the experience they need in the practice of landscape architecture to prepare for entering the professional job market or to continue to graduate school. Capstones provide the students with the opportunity to demonstrate their skills, knowledge, and ability to resolve “real-world” design problems. Since the 1980s, our students’ capstone projects have addressed the needs of more than 250 clients.